yes, I agree with everything. word for word. We’re both in the minority here. 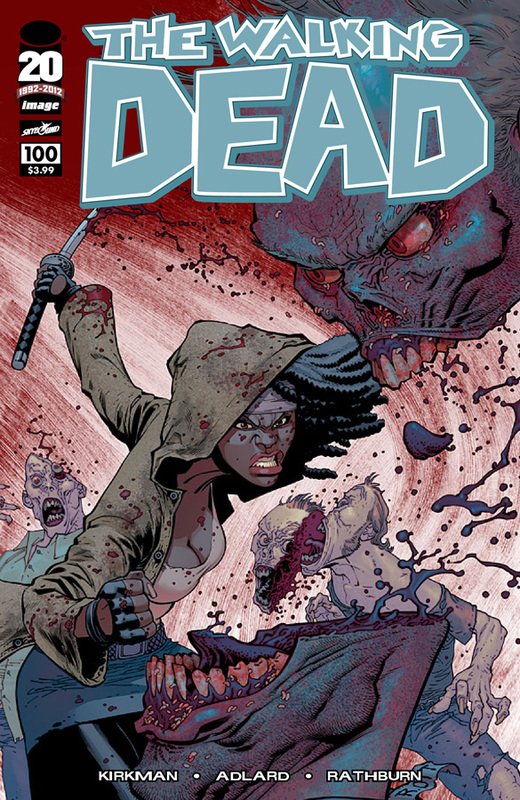 And I had commented on another thread about “People who didn’t quite like issue 100” saying, in my eyes at least, the death of Abraham almost ruined the death of Glenn in that they came together too soon. And after reading this book for so long and Glenn about to break out into singing “The sun will come out tomorrow” and telling Rick it’s great to be alive after all… Gee Glenn you’re right.. oh wait! Bunk, splat, there goes his brains. I loved when they were on the road, traveling to Washington, because any moment even taking a whiz could be their end. Even the damn “The dead do not hunt” or whatever was more exciting then I think this ever will be. 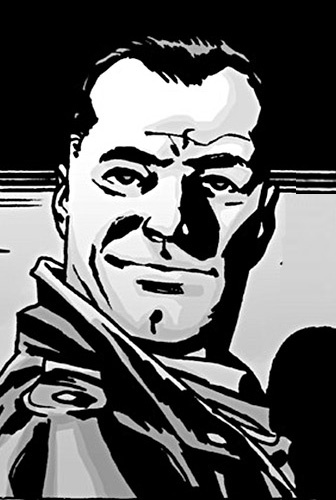 When’s it gonna come out Negan is the Governor’s brother? Yeah getting them back on the road would be awesome-having them searching for something bigger or some answers or finding that something even more dangerous awaits? You hit the nail on the heard with abraham and then Glenn, i think kirkman overplayed the whole Glenn is finally going to happy thing before he was killed…still though I think it’s a great book, just in need of some new ideas!